June 26 marks 41 years since the long summer day when three young men were killed at the home of the Jumping Bull family, near Oglala, [S.D. ], during a firefight in which I and dozens of others participated. While I did not shoot (and therefore did not kill) FBI agents Ronald Williams and Jack Coler, I nevertheless have great remorse for the loss of their young lives, the loss of my friend Joe Stuntz, and for the grieving of their loved ones. I would guess that, like me, many of my brothers and sisters who were there that day wish that somehow they could have done something to change what happened and avoid the tragic outcome of the shootout. This is not something I have thought about casually and then moved on. It’s something I think about every day. As I look back, I remember the expressions of both fear and courage on the faces of my brothers and sisters as we were being attacked. We thought we were going to be killed! We defended our elders and children as they scattered for protection and to escape. Native people have experienced such assaults for centuries, and the historical trauma of the generations was carried by the people that day — and in the communities that suffered further trauma in the days that followed the shootout, as the authorities searched for those of us who had escaped the Jumping Bull property. As the “First Peoples of Turtle Island,” we live with daily reminders of the centuries of efforts to terminate our nations, eliminate our cultures, and destroy our relatives and families. To this day, everywhere we go there are reminders — souvenirs and monuments of the near extermination of a glorious population of Indigenous Peoples. Native Peoples as mascots, the disproportionately high incarceration of our relatives, the appropriation of our culture, the never-ending efforts to take even more of Native Peoples’ land and the poisoning of that land all serve as reminders of our history as survivors of a massive genocide. We live with this trauma every day. We breathe, eat and drink it. We pass it on to our children. And we struggle to overcome it. Like so many Native children, I was ripped away from my family at the age of nine or so and taken away to get the “Indian” out of me at a boarding school. At that time, Native Peoples were not able to speak our own languages for fear of being beaten or worse. Our men’s long hair, which is an important part of our spiritual life, was forcibly cut off in an effort to shame us. Our traditional names were replaced by new European-American names. These efforts to force our assimilation continue today. Not long ago, I remember, a Menominee girl was punished and banned from playing on the school’s basketball team because she taught a classmate how to say “hello” and “I love you” in her Native language. We hear stories all the time about athletes and graduates who face opposition to wearing their hair long or having a feather in their cap. With this little bit of my personal history in mind, I think it is understandable that I would then, as a young person in the 1960s and 1970s, be active in the Indigenous struggle to affirm our human, civil and treaty rights. Our movement was a spiritual one to regain our ceremonies and traditions and to exercise our sovereignty as native or tribal nations. For over 100 years some of our most important ceremonies could not be held. We could not sing our songs or dance to our drum. 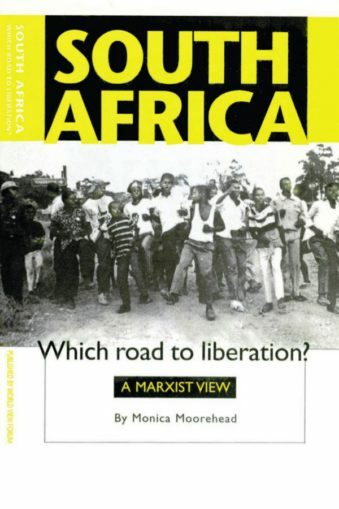 When my contemporaries and I were activists, there were no known sun dances. Any ceremony that took place had to be hidden for fear of reprisals. One of our roles as activists for the welfare of our Peoples was to create space and protection for Native Peoples who were trying to reconnect to our ancient cultures and spiritual life. This was dangerous and deadly. It meant putting our lives on the line because people who participated in these ceremonies, and people who stood up for our elders and our traditional way of life, were brutally beaten, killed or disappeared. Paramilitary groups and death squads ruled some reservations and each day was a battle. If an uninvited, unknown or unrecognized vehicle pulled up to your house, the first reaction was that you were being visited by someone who meant to do you harm in some way. This was learned behavior on the reservations. This was excruciatingly true in the 1970s. Hey, I don’t want to be all doom and gloom here. I see over the decades that in some important ways, life has improved for our Peoples. President [Barack] Obama’s extraordinary efforts to forge a strong relationship with our Tribal Nations is good cause for a new sense of optimism that our sovereignty is more secure. By exercising our sovereignty, life for our people might improve. We might begin to heal and start the long journey to move past the trauma of the last 500 years. But what will we do if the next administration rolls back those gains made over the past eight years? I often receive questions in letters from supporters about my health. Yes, this last year has been particularly stressful for me and my family. My health issues still have not been thoroughly addressed, and I still have not gotten the results of the MRI done over a month ago for the abdominal aortic aneurysm. As the last remaining months of President Obama’s term pass by, my anxiety increases. I believe that this president is my last hope for freedom, and I will surely die here if I am not released by Jan. 20, 2017. 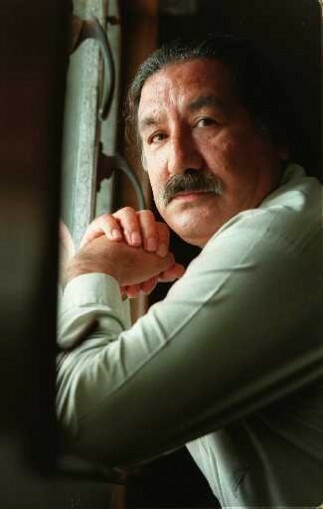 So I ask you all again, as this is the most crucial time in the campaign to gain my freedom, please continue to organize public support for my release, and always follow the lead of the International Leonard Peltier Defense Committee. Thank you for all you have done and continue to do on my behalf.